Acute and recurrent pericarditis. EBSCO DynaMed Plus website. 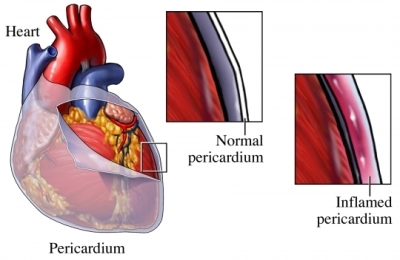 Available at: http://www.dynamed.com/topics/dmp~AN~T115401/Acute-and-recurrent-pericarditis . Updated March 5, 2018. Accessed August 30, 2018. 11/4/2013 DynaMed Plus Systematic Literature Surveillance. Available at: http://www.dynamed.com/topics/dmp~AN~T115401/Acute-and-recurrent-pericarditis : Imazio M, Brucato A, et al. A randomized trial of colchicine for acute pericarditis. N Engl J Med. 2013;369(16):1522-1528.